Commissioner for Trade Cecilia Malmström said that the WTO “must adapt or it will be in serious trouble”. The set of proposals came against the backdrop of the EU’s efforts, supported by other major economies, including Japan and China, to shield the multilateral system against US President Donald Trump’s attacks. Following the EU leaders’ call last June to reform the WTO, the Commission put forward a series of ideas to discuss with WTO members in Geneva this Thursday (20 September). The EU leaders agreed “in substance” on Thursday (28 June) on a set of proposals to improve the World Trade Organisation, which should pave the way for finding common ground with US President Donald Trump and de-escalating the ongoing trade dispute. But Italy blocked their formal adoption until the migration issue was fully addressed. 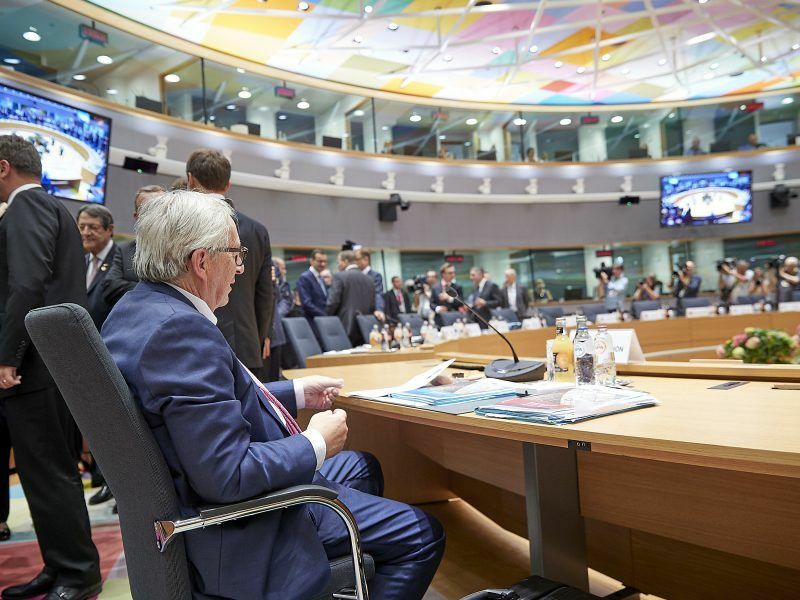 The EU executive’s concept paper defends strengthening the organisation’s monitoring powers to check whether countries are implementing multilateral agreements and transparent trade policies to facilitate the arrival of foreign players. As a first step, the Commission want to improve the notification system inside the institution and to single out uncooperative members. In the case of “wilful and repeated non-compliance” to report about trade policies or the implementation of WTO agreements, the EU executive wants to sanction the countries exposed. It would represent the first step toward punishing countries breaching multilateral trade rules. “There has to be a cost to not living up to your obligations” to notify countries about your trade policies, Malmström said. But the sanctions would be limited to the realm of the organisation and would not include economic penalties. The Commission suggests limiting certain rights related to the participation in WTO proceedings, such as the ability to chair WTO bodies, seeking replies from other countries or taking the floor during committee meetings. Malmström said that she would discuss the details with other WTO members in the coming days. The Commission would exclude developing nations with “limited resources” to meet notification obligations and deadlines from the sanctions. Instead, it would offer “incentives” to these countries to improve their notification system. The Commission also wants to overcome the blockade to renovate the members of the appellate body of the organisation. Its members play a key in the dispute settlement system of the WTO, one of the primary functions of the institution. The Commission paper states that the dispute settlement system is “at grave danger, and swift action by members is needed to preserve it”. 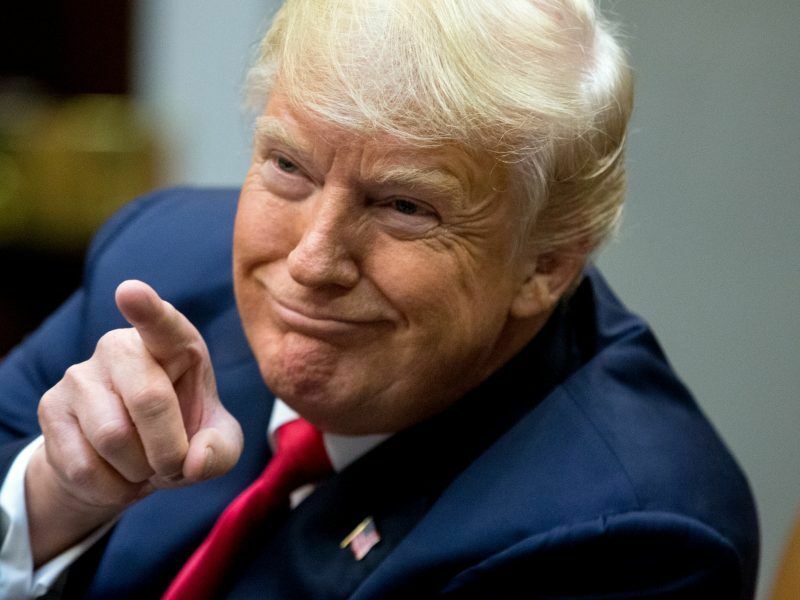 President Donald Trump on Thursday (30 August) rejected as “not good enough” a European Union proposal scrapping tariffs on automobiles, a move which threatens to amplify a simmering trans-Atlantic trade dispute. The US is currently blocking the nomination of new candidates for the appellate body, as it has raised various concerns regarding the dispute settlement system. If the blockade continues until December 2019, there will be fewer than three appellate body members left, which is the minimum required to hear an appeal. The US complains that the 90-day deadline for appeal proceedings is not respected; that former members of the body continue to influence ongoing cases dealt by them in the past; the body’s involvement on issues not related with the dispute put forward by the parties and the revision of the WTO panel’s findings under different legal standards. Washington also dislikes the use of the body’s decisions as precedents for future occasions. Malmström said that some of the “criticism” aired by US Administration could be worked out and clarifications could be added to the functioning of the body. But she added that possible changes should not undermine the “integrity” of the system. Commission officials saw room for an agreement on the procedural issues, such as the role of former members during transition periods. As part of the proposals, the EU executive also wants to update the WTO’s rulebook to better reflect today’s challenges in global trade, including the use of subsidies or the forced transfer of technology. China is under the spotlight as its subsidies have been responsible for the global steel overcapacity that fuelled the trade dispute between the US and its partners. 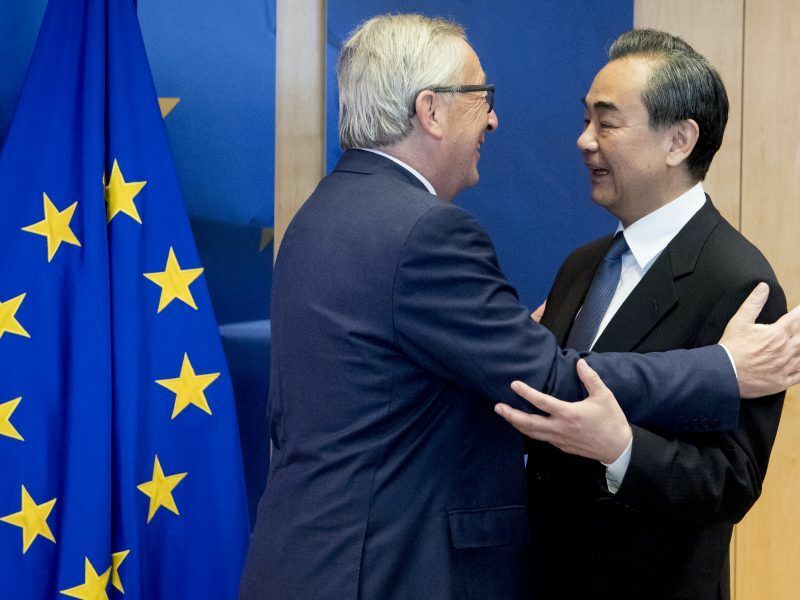 The EU and the US also blamed Beijing for imposing foreign companies to share intellectual property and know-how in order to access the Chinese market. The EU and China said on Friday (1 June) they would expand trade and investment cooperation amid the global trade dispute triggered by US tariffs. But as part of the efforts to address outstanding trade disputes, Europe will present a complaint before the World Trade Organisation against China’s intellectual property practices. 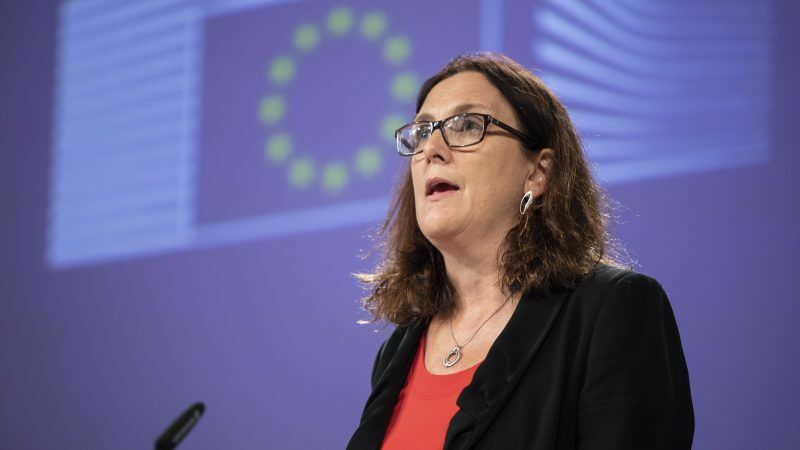 Malmström said that it was in China’s interest to engage in the modernisation of the WTO given that the organisation served well its interests. She added that up to 90% of the members of the organisation accepted the need to revamp the institution. The Commission’s proposal followed the US’s new tariffs slapped on China on $200 billion worth of its exports. Malmström described the “escalation” of the trade war between the two economic superpowers as being “very unfortunate”. She said that the EU agrees with “some of the criticism” aired by Washington vis-à-vis China, “but we disagree with the methods the US is using”. Google Emini S&P Trading Secret and figure out how to trade and after that move to South East Asia and carry on with a life that you never envisioned you could live. That is the thing that I am doing now and extremely cheerful as opposed to being in fear all the time and pushed.